Instead of sewing the blocks together all boring-ish, I decided last minute to sew these blocks into rows with sashing in between. I happened to have a half yard of the green fabric which semi-matches…and sometimes semi-matching is as good as it gets! 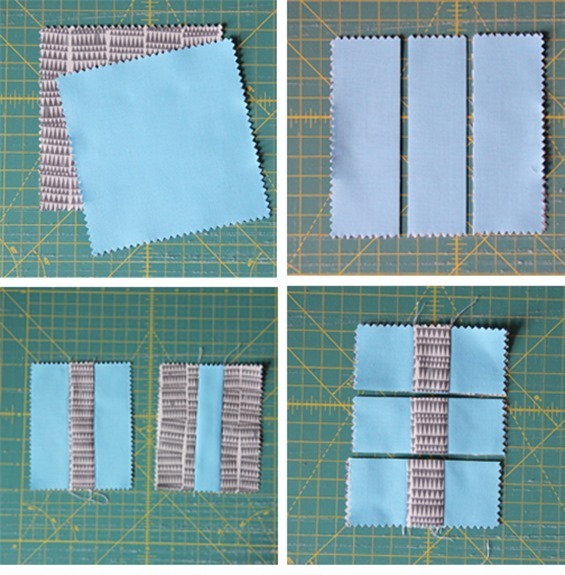 I had some requests for how to make these little 9 patch blocks…they are super easy with this stack n’ whack method, so hopefully some pictures will suffice. I stacked my 5” charm squares and cut a 1 1/2” strip in the center of each. 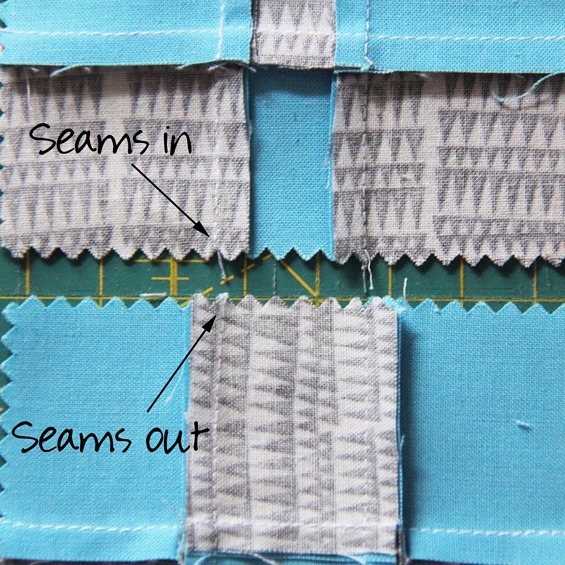 Then swap the center strips and sew back together…press towards the print fabric (so in different directions for each block). Then cut another 1 1/2” strip in the center of each, swap the strips, and sew them back together matching the seams. Again, press towards the print (if the center strip is mostly print…press towards center strip). The blocks measure 4” unfinished. 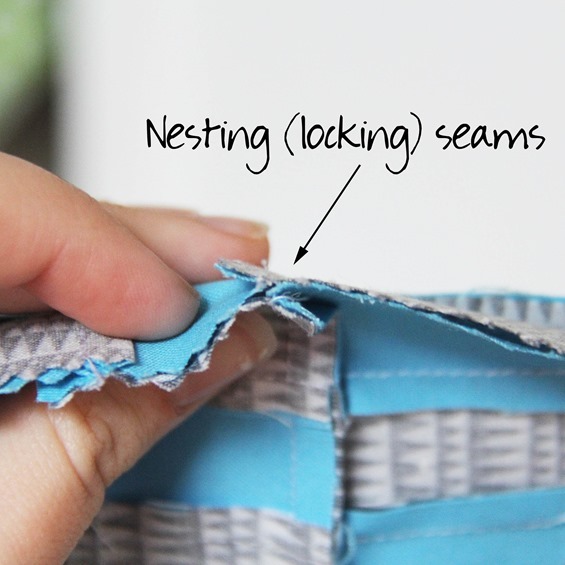 The trickiest part is remembering the pressing directions for each blocks so your seams will nest. Luckily it’s not the end of the world if they don’t…and you can always press your seams open and not worry about it. I cut my green strips 2” by the average width of the rows, and if I remember right the Kona green is Leprechaun. This quilt measures about 36” x 45”…give or take a bit. Your seams are so tidy!! I don't know what I do wrong but I always end up with at least one or two sets that are just…wonky. Oh well. Practice makes perfect! Moltes gracies per aquest tutorial tant ben explicat. Thanks! Your lovely quilt and the bright photos have brought some light to a very dull November day here in the UK! Thanks for explaining and showing with such pin-sharp photos how you made the blocks. Oh I love the semi-matching green! It gives the quilt so much life! I agree, semi-matching is often the best choice. Have a wonderful thanksgiving Allison! Oh so pretty…the green sashing works! I love simplicity in sewing! 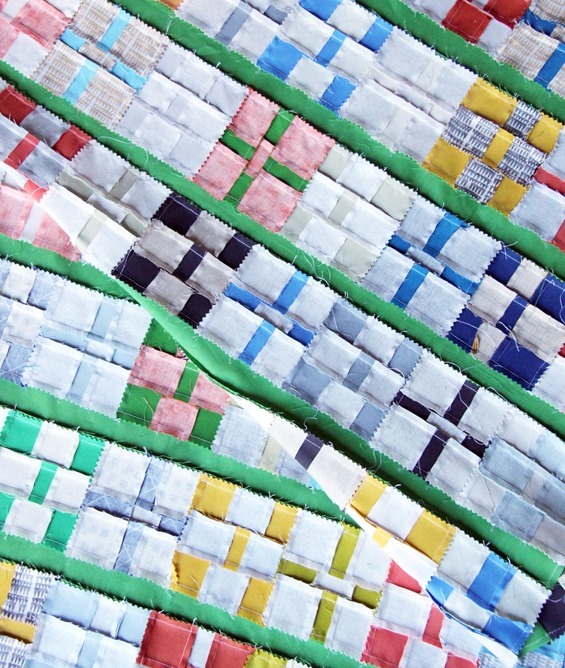 This is a darling quilt – kind of reminds me of a wonderful green salad! Happy Thanksgiving! A great nine patch quilt – my fav. And great tut to go with it too! 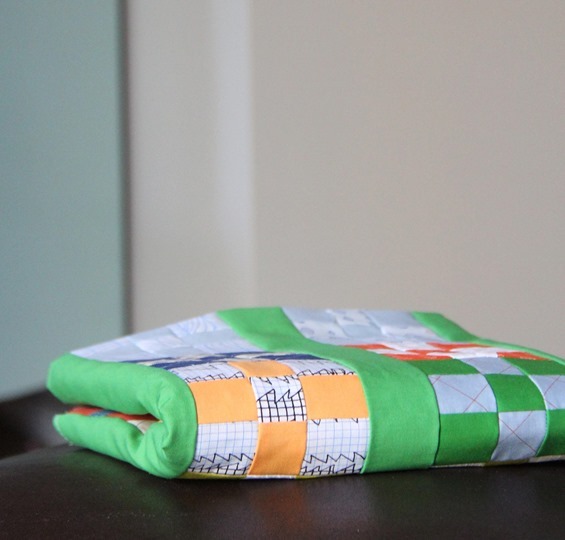 Thanks for another great tutorial – I'm a little dizzy thinking about how many little squares are in this quilt but it is really nice. 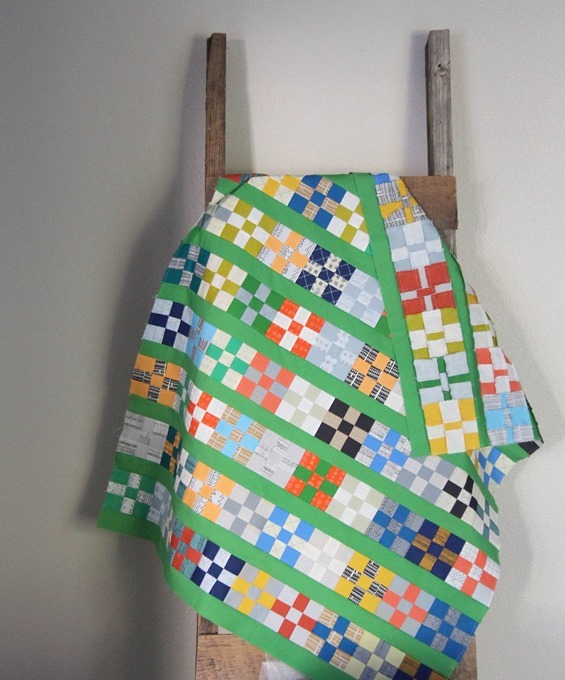 I love nine patch quilts and you put a such nice original spin on this one. Nine patch is my most favorite block ever! Thanks for sharing the completed top, as well as how you made the blocks. What size is your finished top? Thank you for sharing this tutorial and the beautiful finished top. I would not have thought to use dashing the way that you did. Now I'm gonna have to get some Doe. Maybe Santa will be kind. 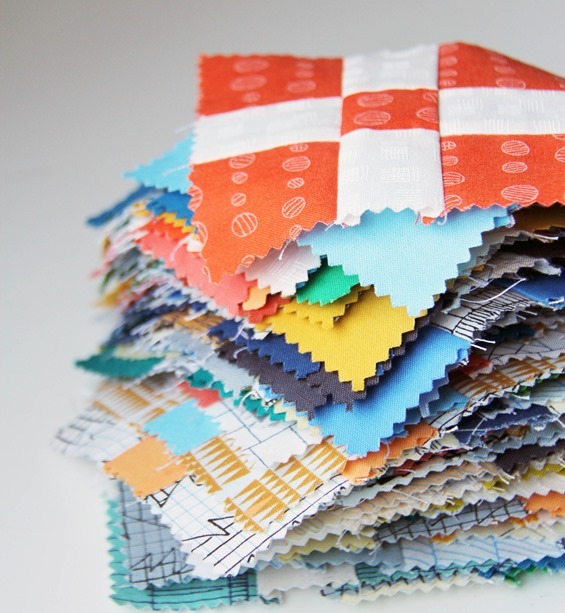 I love quilting idea, & just cannot wait for the nrw year to begin. Thank.you so much and hope you and your ones had a great Thanksgiving! Great idea to put in the sashing. I hope all of you are feeling better now! Love the block and how easy you made it look with your tutorial. Just started to make these 9patch blocks. Suddenly realised I had no idea how to cut a 11/2″ central piece??? Help! Just realised I need 13/4″ piece on each side of the block! Bit slow today! I have lots of Kaffe strips. What a great way to use them! I love your patterns. Simple and always do good looking. Thanks! I don’t see a finish on the sides. Is it a UFO? or are the squares tucked 1/4″ in. Or? Hi Susan! I finished this one with simple quilting lines and donated it! Sometimes I forget to share some of my older unfinished projects I finish up quickly!